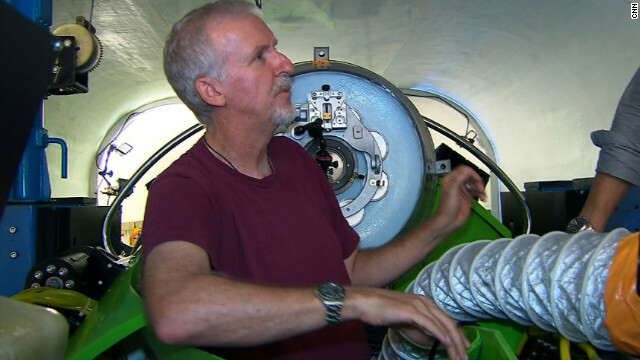 Oscar-winning director James Cameron resurfaced Monday after plunging to the deepest known point in the world's oceans in his one-man submersible. His history-making solo venture to Challenger Deep, part of the Mariana Trench in the western Pacific Ocean, left him feeling "complete isolation from all of humanity," he said. "I felt like I literally in the space of one day have gone to another planet and come back." At more than 10,900 meters (about 35,800 feet), the Mariana Trench is deeper than Mount Everest is tall. It has had only two previous human visitors: U.S. Navy Lt. Don Walsh and the late Swiss explorer Jacques Piccard, who descended to that spot in 1960.